JW UK LTD were very proud to be awarded the refurbishment of the Reality Checkpoint Column, situated in Parkers Piece, this column had some damage and paint issues, and the lanterns needed bringing up to standard, we completely stripped the column, and with various processes and coats completely refurbished this column bringing back to life. 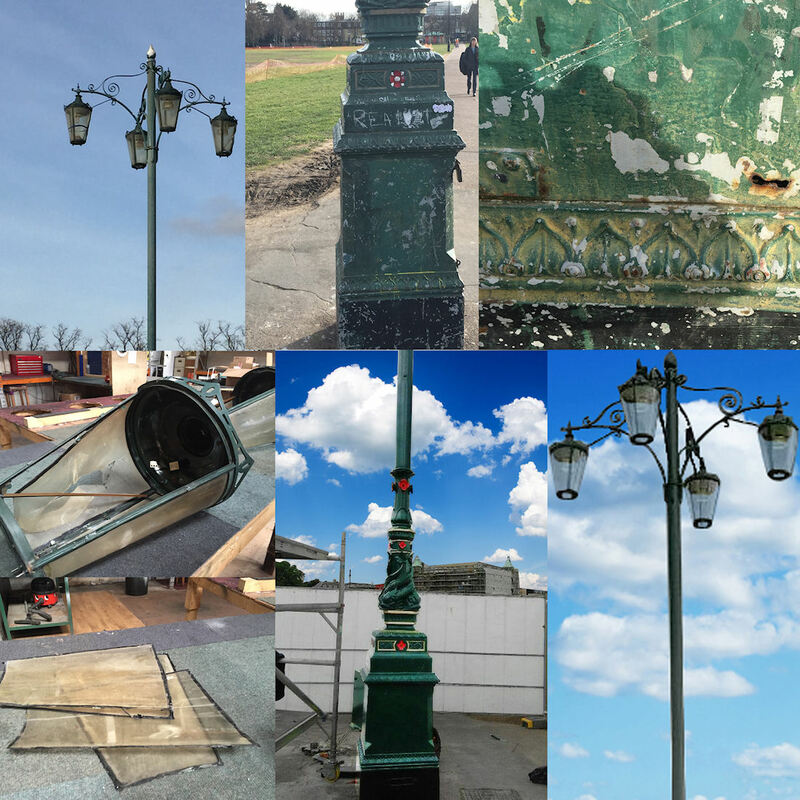 this also included refurbishing and re-glazing the lanterns, and fitting with 90W CPO. Great Job, and great to work alongside Balfour Beatty on this prestigious project. 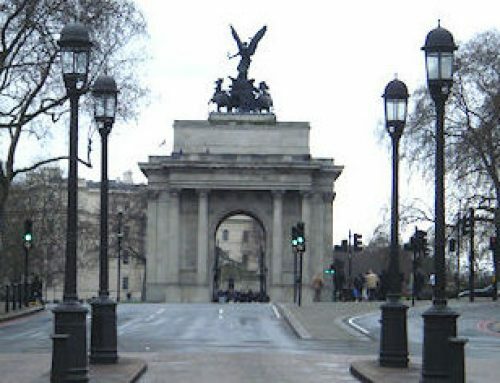 Reality Checkpoint is the name given to a large lamp-post in the middle of Parker’s Piece, located at the intersection of the park’s diagonal paths. 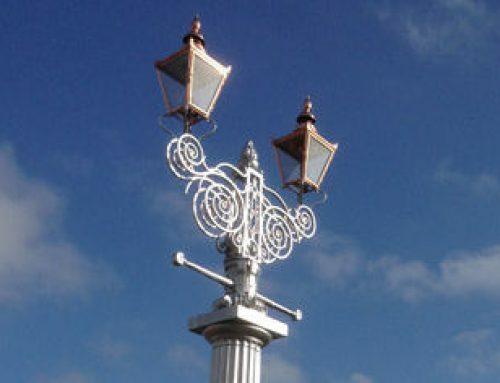 The name comes from an unofficial inscription which has been painted on the lamp-post since the early 1970s. 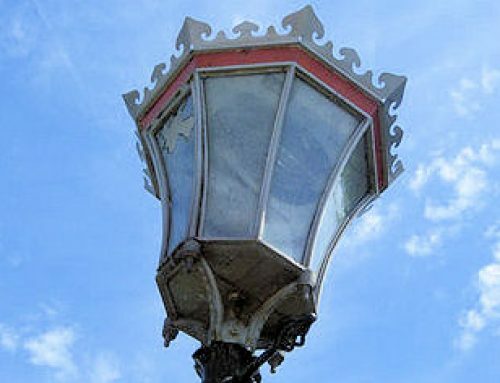 The lamp-post is also believed to be the oldest electrical lamp-post in Cambridge. There are four main theories as to the meaning of the name. 1 .It may mark the boundary between the central university area of Cambridge (referred to as the ‘reality bubble’) and the ‘real world’ of non-academic locals living beyond. One is warned to check one’s notions of reality before passing. For students at Cambridge, who walk out to Mill Road across Parker’s piece for an evening in the ‘real world’, usually including a visit to one of Mill Road’s selection of pubs, the lamp-post marks the end of the ‘reality holiday’ as they walk back to central Cambridge – back into ‘the bubble’. 2. The name arose because the lamp-post forms a useful landmark for people crossing the park at night-perhaps inebriated or in the fog-since it is the only light for hundreds of yards. 3. When drunk, students and the general public are reminded to check they are able to walk like a sober person before passing the police station just a few hundred metres away. 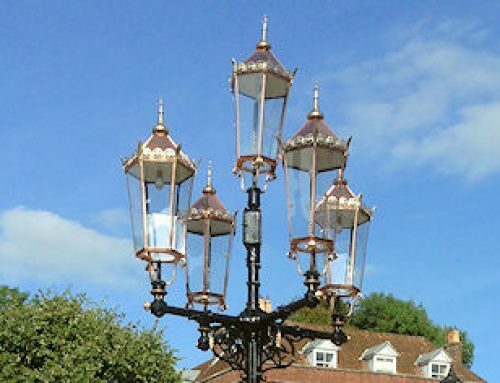 JW UK offer a complete and comprehensive manufacturer, supply and installation service for all types of exterior lighting and street furniture. 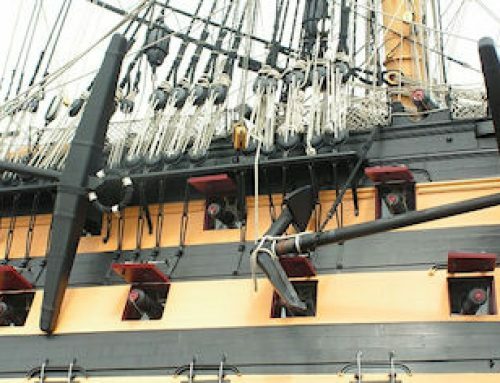 Established in 1999 we have completed work for many government organisations and large corporate clients and throughout our website you will find many examples of our work. We are also involved in a large amount of commissioned work and are able to complete any design from initial concept. Thank you for visiting JW UK, please do not hesitate to get in touch should you require any assistance, we look forward to hearing from you.